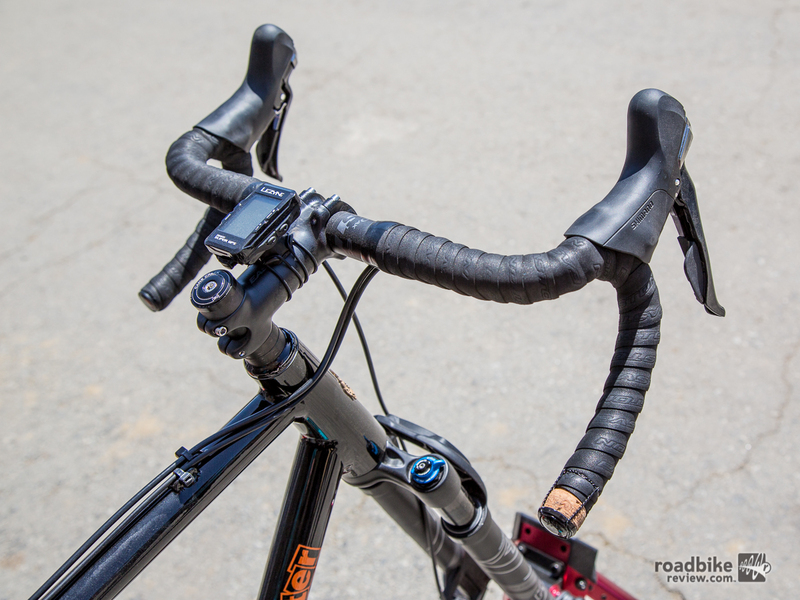 The carbon EC70 AX Flare Bars feature 80mm of reach and 120mm of drop. Formerly one of the BRG Sports stable of brands, Easton Cycling now exists in a new form, as a sister brand to Race Face Components and under the guidance of Fox. With the additional brain power and engineering capabilities, it was clear things were going to get shaken up. What do you do when you own two brands in the same space? With the recent launch of the Race Face Next R line of carbon components, things have become clearer. Race Face is known for its core following in the mountain biking space, and with the recent introduction of the Fox gravel suspension fork, Easton has discontinued the mountain bike line focusing instead on the growing gravel/drop bar adventure segment with the launch of their new “Adventure Cross” series. 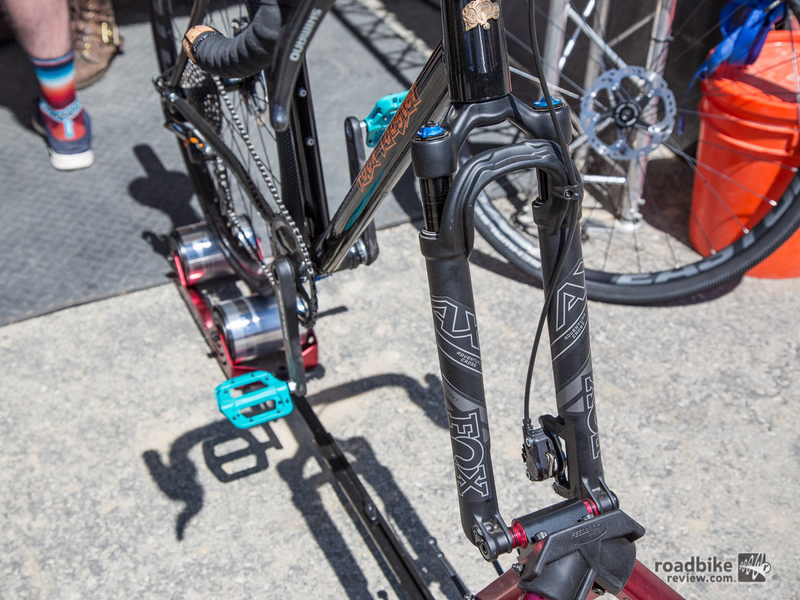 Here are some of the new Easton components paired with the new Adventure Cross fork from Fox. The EC 70 AX Flare Bars are made using Easton EC70 Carbon and offered in three widths: 40, 42 and 44cm (measured center to center). The 42cm bar has a listed weight of 220g, with an 80mm reach, 120mm of drop, and flare out 16 degrees. The flare adds 68mm to the overall width of the bar, providing wrist clearance when utilizing the drops on technical terrain. Price is $215. 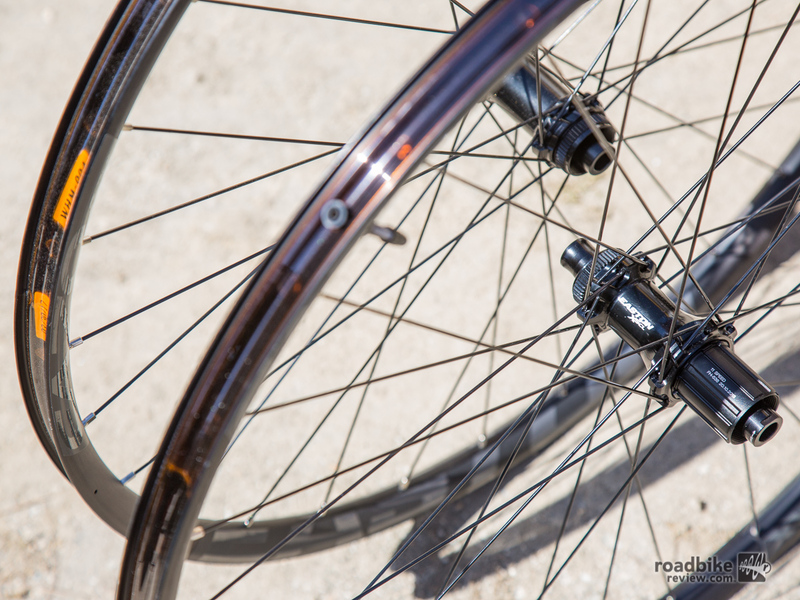 The Easton EA70 AX Disc wheelset is geared toward the drop bar crowd. A few years ago, this would have been considered a 29er XC race wheel (if you overlooked the 12×100 front hub spacing and 11-speed road compatibility). Designed to withstand the rigors of trail riding, the EA70 AX Disc should handle anything from bike packing to long gravel rides. Available in 650b and 700c, listed weights are reported as 1670g and 1760g. 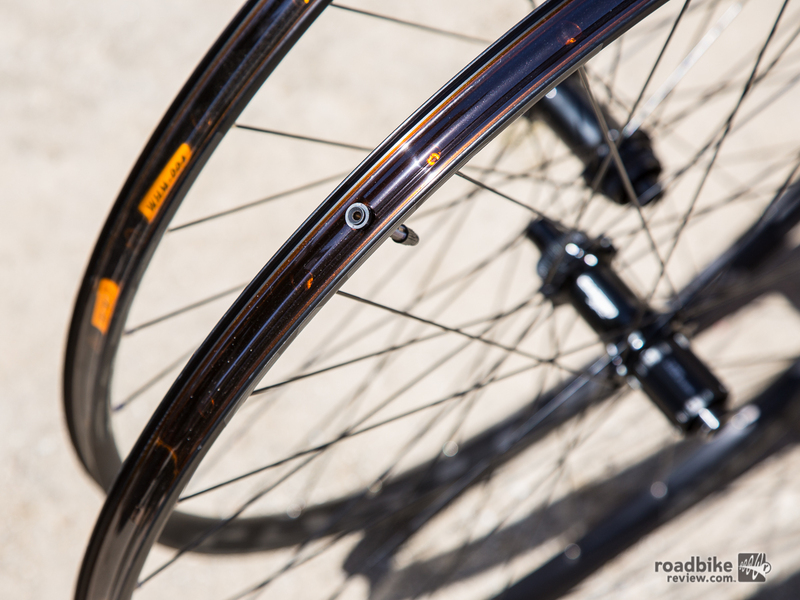 The alloy hoops are tubeless ready, and feature an internal rim width of 24mm. The EA70 AX disc wheels come tubeless ready. Here’s a full rundown of the new wheels’ features. The EC90 SL borrow technology from sister line Race Face, utilizing the Cinch direct mount interface. 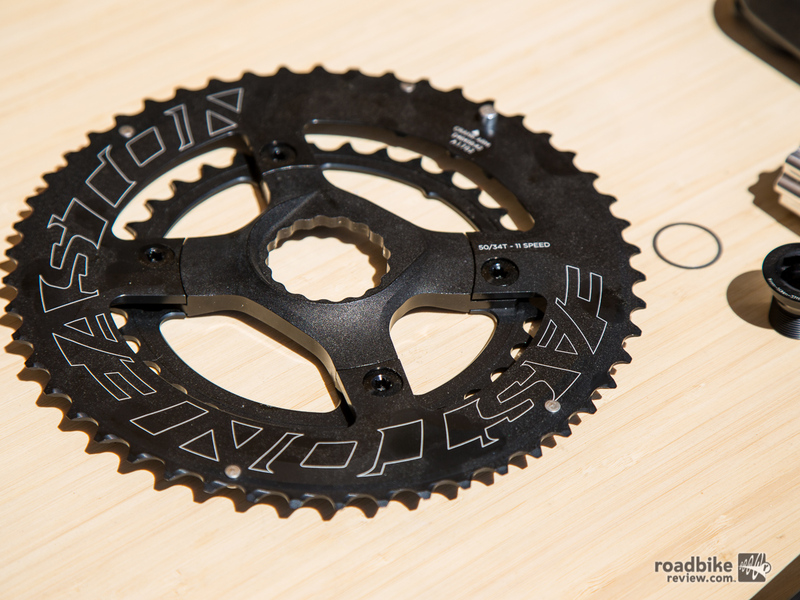 Next is the EC90 SL cranks that utilize Race Face Cinch technology, offering the option to run a direct mount 1x rings or direct mount 2x spiders. Suitable for road, CX, grave or even triathlon applications, these crank arms are available in 170, 172.5 and 175mm lengths. 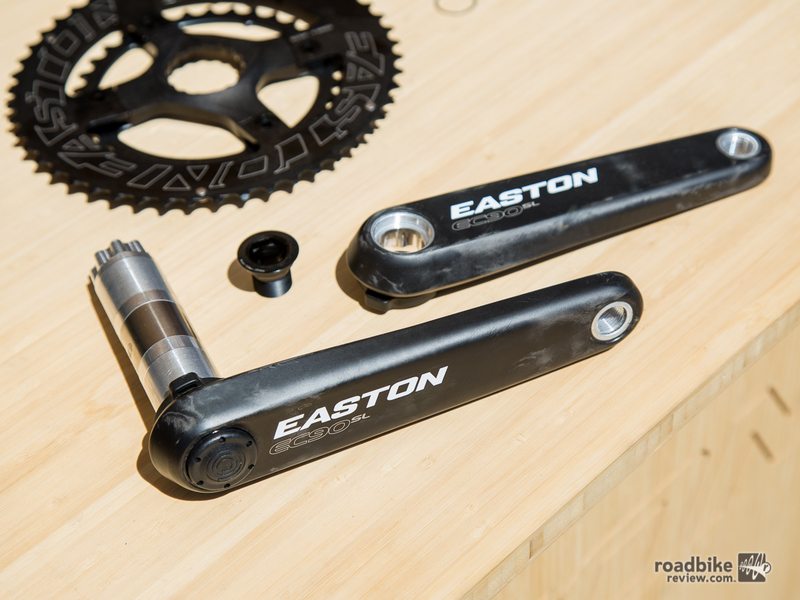 The EC90 SL cranks are compatible with the new Easton Power Meter, housed in the spindle. Spotted paired with the Adventure Cross fork from Fox. The Easton EA70 AX Wheelset. 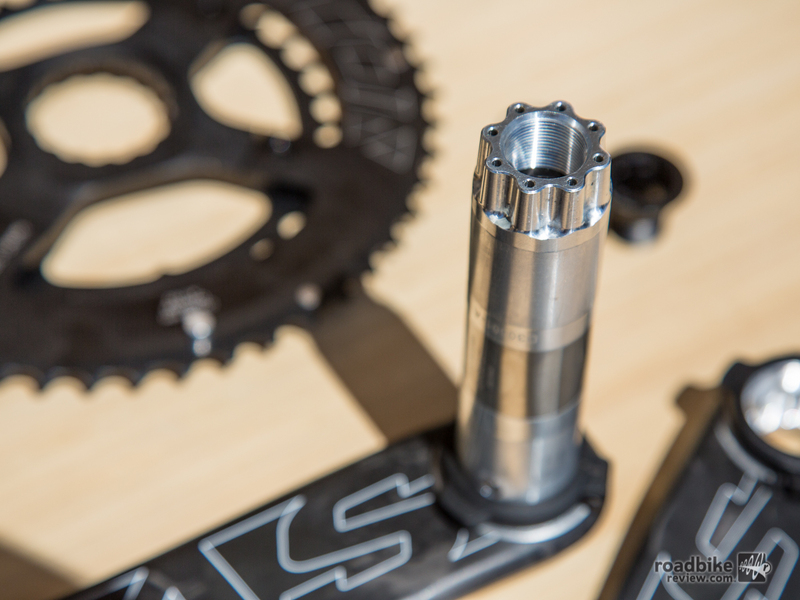 The EC90 SL Cranks are also compatible with the new Easton Power Meter, housed in the spindle.